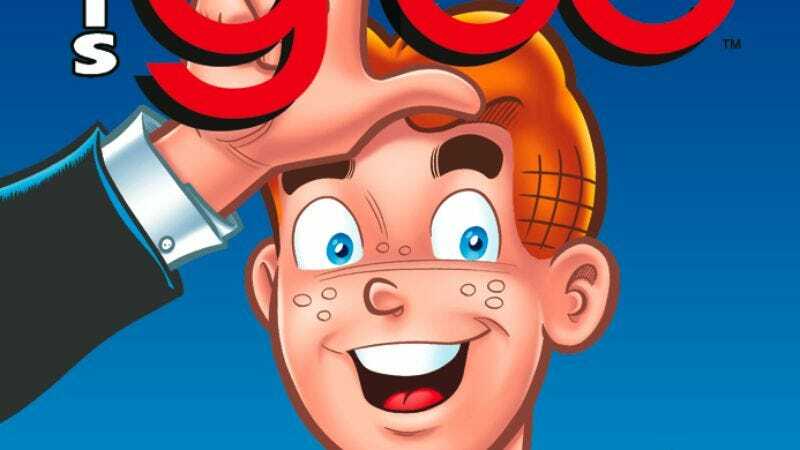 The characters of Fox's Glee will make an appearance in an upcoming series of Archie comics—a cartoonish crossover that threatens to diminish Archie's comparatively gritty verisimilitude of high school life. Premiering in 2013, Archie Meets Glee will be scripted by Glee and Spider-Man: Turn Off The Dark writer Roberto Aguirre-Sacasa, following in the tradition of past unlikely team-ups such as Archie Meets KISS and Archie Meets The Punisher (albeit, regrettably, with less threat of bloodshed). The four-issue story arc will find the Riverdale kids discovering a parallel universe populated by even more two-dimensional teens who frequently break into popular songs with lyrics that apply to current problems in their lives, if you don't really pay attention to their meaning. Their relationship quickly sours when, to the Riverdale Gang's horror, the New Directions kids borrow The Archies' "Sugar Sugar" to convey their mixed feelings about abortion, in the version that Aguirre-Sacasa should write, if he only had the guts.